Music visualization, a feature found in electronic music visualizers and media player software, generates animated imagery based on a piece of music. A music visualizer works by extracting waveform and/or frequency information from the music and feeding this information through some display rules, which produces what you see on the screen. The Spotify visualizer software starts by analyzing the waveform and frequency information in the audio, and it looks best as a screen saver. It would be cool to have a music visualizer that syncs with music that's built into Spotify. 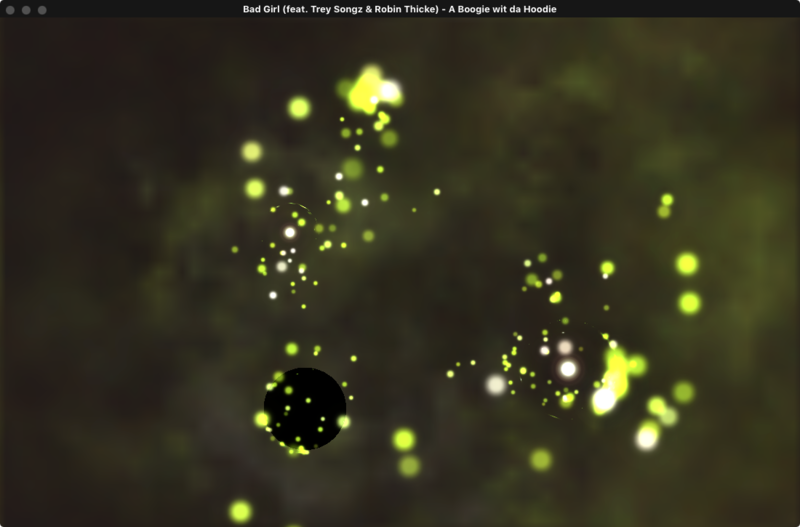 A Spotify visualizer was implemented in the desktop version of the app a while ago. Just type in the top left search bar spotify:app:visualizer and a Spotify visualizer app should appear for you. Then for some unexplainable reason, it got removed. 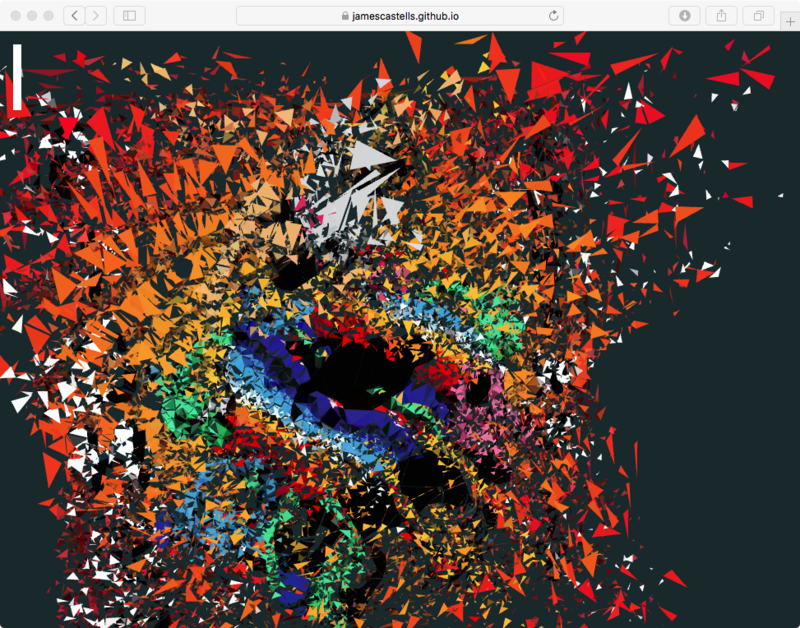 Since Spotify is one of the best music streaming softwares, the one thing Spotify lacks is a live Spotify visualizer that either allows full screen album artwork or abstract visuals that go along with the music. Fortunately, there are so many third-party music visualizer softwares in the market now. 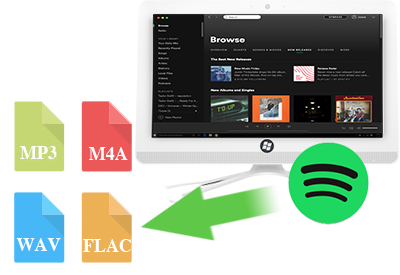 Here we will list you several Spotify Visualizer you can try. 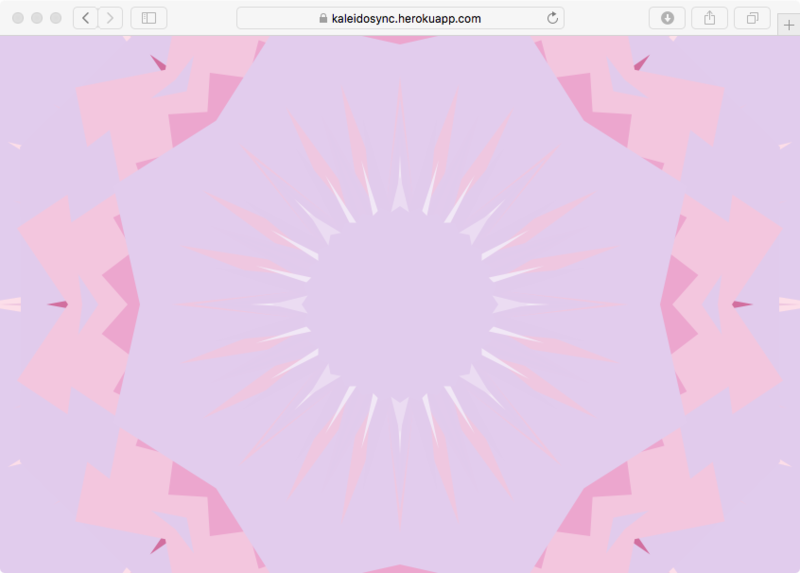 https://kaleidosync.herokuapp.com/ is created by itsappleseason and posted in reddit. 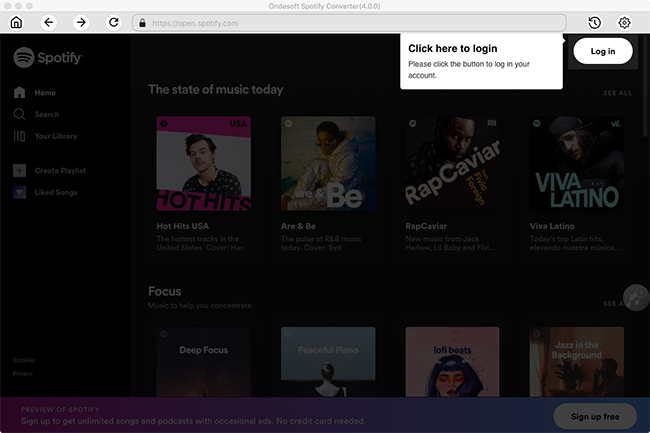 Open the Spotify visualizer in your browser and you will be asked to log in your Spotify account. Then play songs in your Spotify app and the visualizer begins. The visual is somehow simple. https://jamescastells.github.io is made by lost_james and it's pretty cool. It reminds people of lowly palace animations on YouTube in 3D effect. 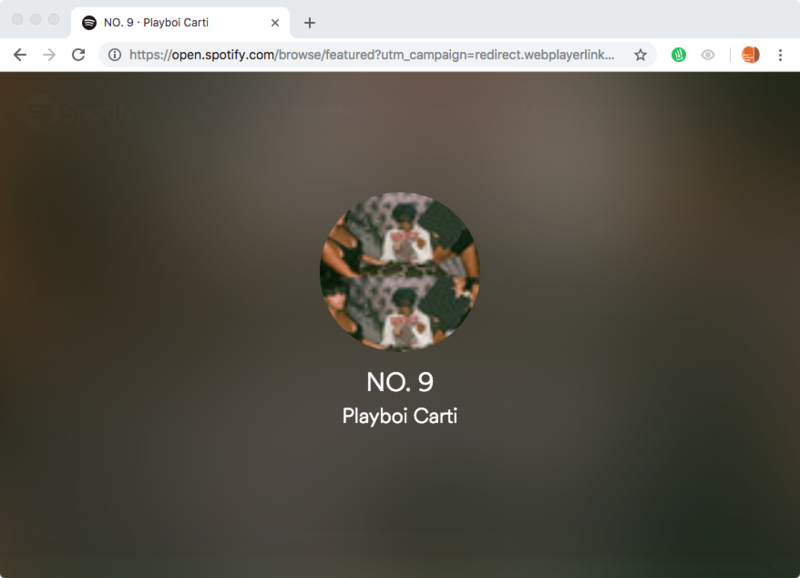 Spotify Web Visualizer is a Google Chrome extension and allows you to enter a full screen visualizer while listening to Spotify on the web. 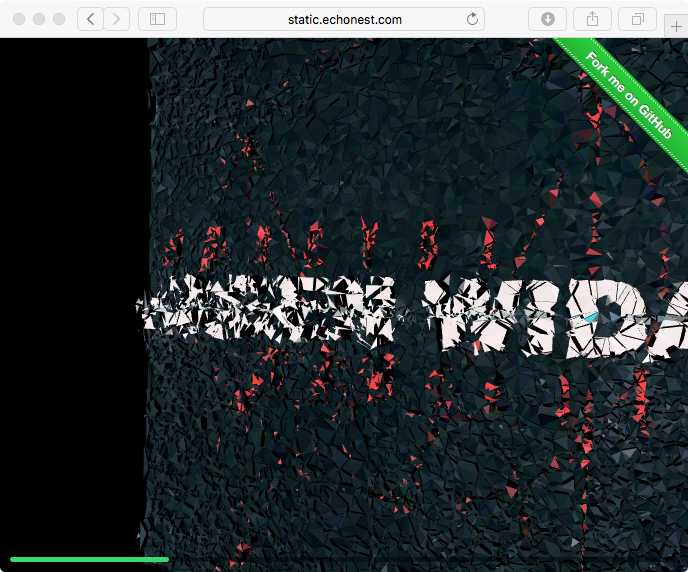 This Visualizer for Spotify Web Player is not recommended becasue there is no visual effect, it's just a static screensaver. Spotify 3D Visualizer - The Echo Nest appears on the first place when I google Spotify Visualizer, but it seems doesn't sync with the songs. Actually, many music players visualizer feature. If the music player you like has have visualizer feature, you may consider use it to play Spotify songs. 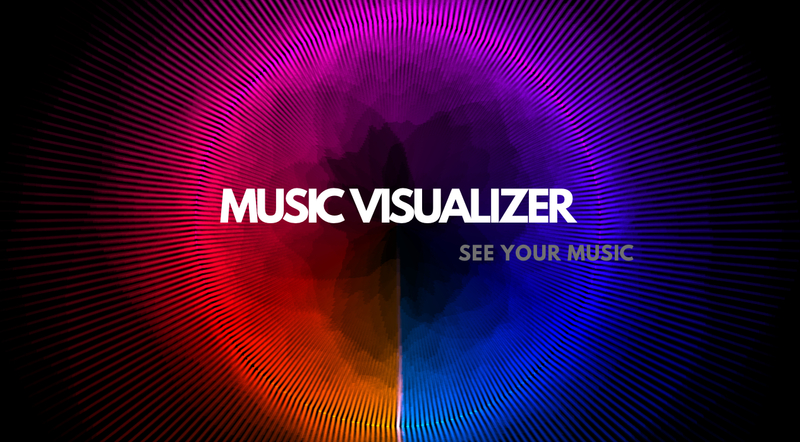 Here we will introduce you several music player with visualizer. Since its very first version, iTunes has had a visualizer, a built-in light show that you can use to play trippy animations while you listen to music. A quick press of two keys triggers the visualizer: while listening to music, just press Command-T, and sit back and watch the show. After converting Spotify music to mp3, you can then import the DRM free Spotify songs to iTunes and then enjoy then with visualizer. Windows Media Player, the default player that comes preinstalled with Windows operating systems comes with visualizations. Click the "Switch to Now Playing" button in the lower-right corner and then click "Play" to play a song. Right-click any open space on the media player, select "Visualizations," highlight a collection category and then click the visualization to use. Audio visualizations is a also available in VLC while playing audio files. From the VLC Menu click on Audio > Visualizations and then select a visualization. You can also select visualizations by right clicking while your audio is being played. From the right click media go to Audio > Visualizations and select a visualization. The default available visualizations are Spectometer, Scope, Spectrum, Vu Meter, Goom and ProjectM. They all have their own style. Switch between them and select the one you like. Other music players with visualization feature include AIMP, Winamp, foobar2000 and more. However, you can't use them to play Spotify songs directly. As we all know that Spotify music are protected by DRM and the format of Spotify music is Ogg Vorbis. 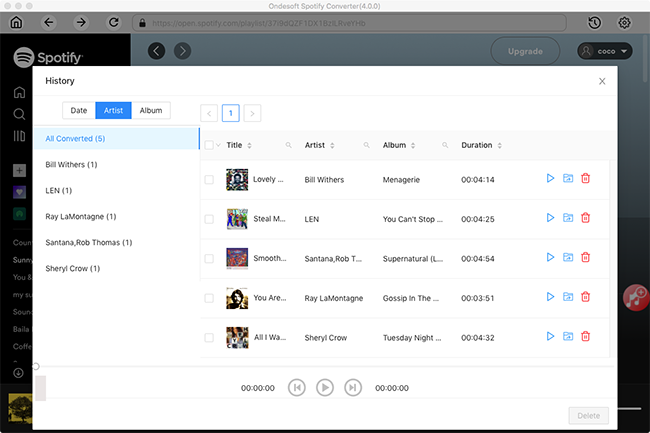 To play Spotify songs on third-party music player with visualizer feature, you need to convert Spotify songs to common format and remove DRM protection from them. 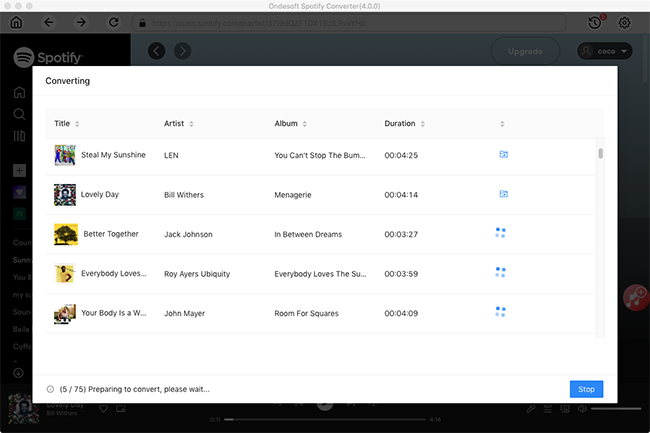 Ondesoft Spotify Converter is designed for downloading and converting any Spotify songs, albums or playlists to MP3, M4A, WAV or FLAC with 100% original quality. 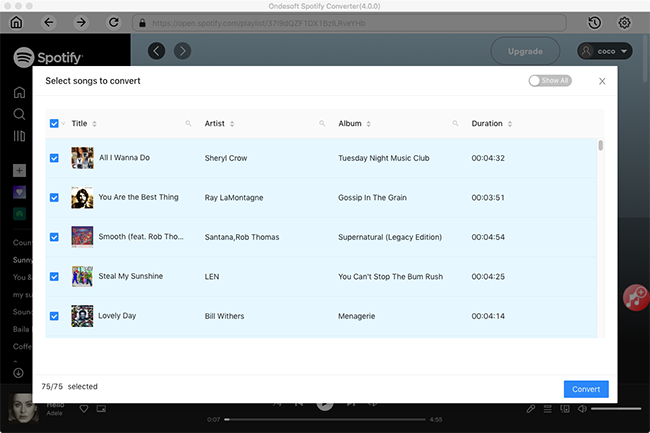 With Ondesoft Spotify Converter, you can play Spotify songs anywhere, anytime without any limitations. 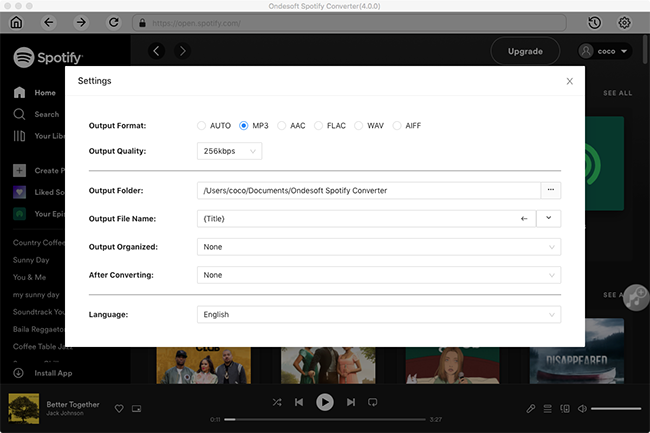 The following tutorial will show you how to use Ondesoft Spotify Converter to download and convert Spotify songs.